Our company started to operate in Iskenderun under the name of Delsa Filter in 2005. The company set up a substructure to produce oil, fuel, air, hydraulic filters mainly for heavy duty applications; truck, earthmoving, agricultural applications, automotive and industrial applications in 3.500 square meter closed area in 2006. Both to meet the increasing demand and to reach its aims, it has moved to Osmaniye Organized Industrial Zone, and started to produce in its own factory in 2007. It started to produce Delsa Filter brand under the name of Kron Filtre Industry and Commerce Limited Company. 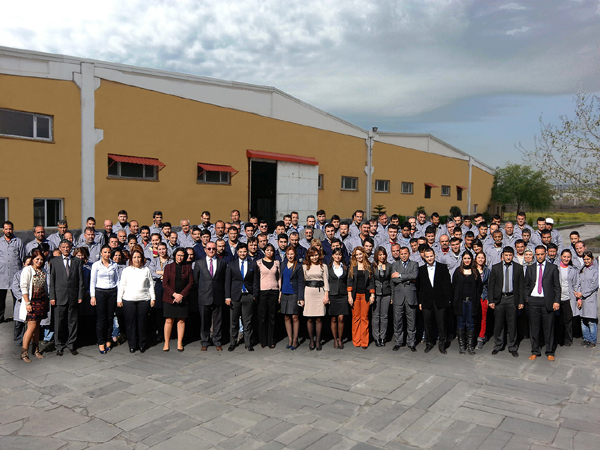 Our company has closed 10.000 square meter area of its total 43,500 square meter space, and doubled up its production. The Company increased its closed production area to 10.000 square meters, increased its employees to 140 and focused on technological investment in 2008. We continued to grow thanks to the right strategies and rational management of the company in 2009. The factory combined the carton packaging department with the Pollen and Industrial filter production facility and thus increased our closed area to 12.000 square meters. We also developed our quality through in service training and employing engineers and technical staff who are well-known experts. 2010 Has been a year of investment, reinforcements of equipments and machines of Kron Filter production plant. In terms of daily filter production capacity and physical magnitude, it became one of leading Manufacturer Company in Turkey. It has increased its closed area to 17,500 square meters-which was achieved before the planned time period for physical magnitude- by adding 5,500 square meter product storage and sales administrative building. By rising stock level and the production of 2.700 sort of filter, Delsa Filter started to meet all demand both internationally and nationally since 2011. The company completed all infrastructure investments, developed its own organization system, it has become strong in the sector and providing filters to the leading firms in 2012. Our goal is to achieve success and to be claimed a trademark in the international arena. Thus our studies continue without interruption to reach our goal. Due our technology investments we were able to increase our production capacity and quality to acceptable levels in 2013 and 2014. In 2014, our technological investments given speed at the same time machinery investments were made strengthen to our production process. In early 2015 , Measurement Laboratory infrastructure has been completed according to an international accredited system and has become to the appropriate test and work in our facilities In addition , we started to collaborate with some OEM and OES companies thanks to the certificate of ISO 16949-2009 as well as our target sales has increased to 60 countries in world wide and 25 domestic dealership . We as a KRON FILTER aim to be international brand thanks to innovation activities ..